WASHINGTON D.C., March. 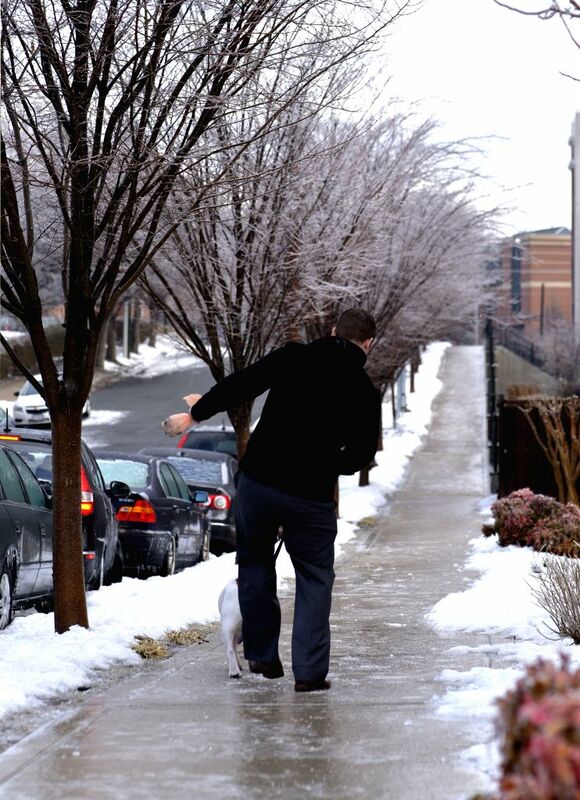 2, 2015 - A man walks on an iced sidewalks in Arlington, Virginia, near Washington D.C., the United States, on March. 2, 2015. The federal government opened two-hour delay and schools closed because of iced road. 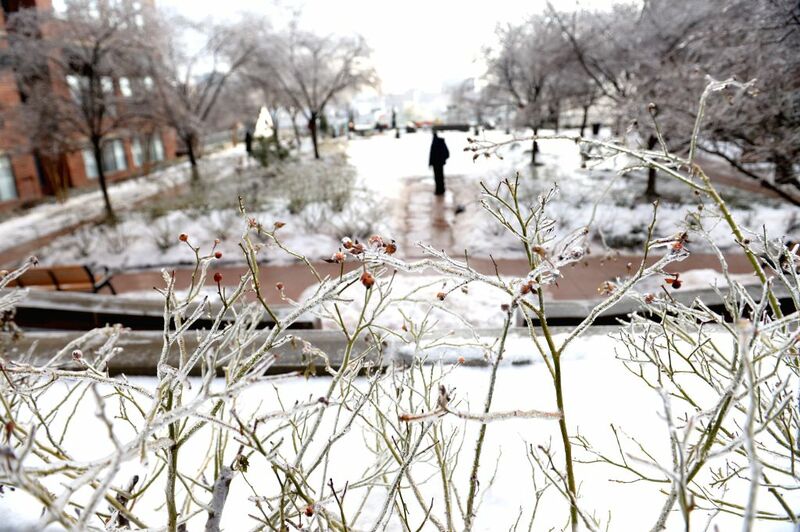 Ice covered branches are seen in Arlington, Virginia, near Washington D.C., the United States, on March. 2, 2015.